Known as Billy Whizz for his incredible fleet of foot and slicing side-step, Jason Robinson is one of the few players to have represented both club and country at the very highest levels of both rugby union and rugby league. 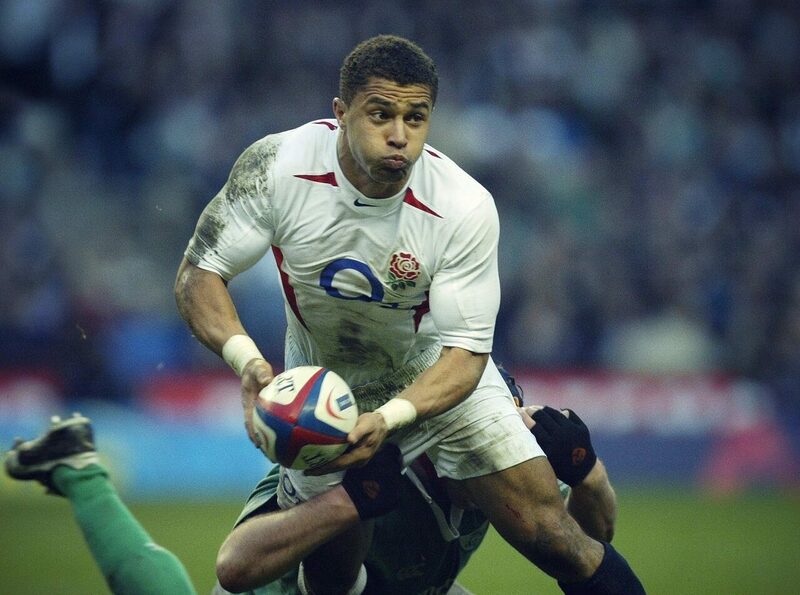 And it doesn’t get much higher than scoring England’s only try in their famous World Cup victory in 2003. Robinson was a frighteningly fast fullback / winger, who won fifty one caps for England at union and twelve caps for Great Britain and seven for England at rugby league. He started his career at Hunslet Hawks, resisting a big money move to Leeds to stand by his club. He later moved to Wigan and was part of their all-conquering side that won countless titles and trophies in the 1990s, including the World Club Challenge in 1994. He went on to play in the rugby league World Cup final in 1995, losing to Australia – a result he would reverse in the other code just eight years later. With the advent of professionalism in rugby union, Robinson switched codes, making his debut for Sale Sharks in 2000, and his debut for England in 2001. He went on to score 30 tries in internationals for England, and to captain the team during Johnny Wilkinson’s injury absence in 2005. Robinson also made the British and Irish Lions sides of 2001 and 2005, before announcing his retirement from international rugby in 2005. He returned briefly to the international game in 2007, scoring twice in his first international for 15months and helping the England team to a second successive World Cup final in 2007, before retiring again. Robinson has since enjoyed coaching spells at club and international level, and was awarded the OBE in 2008. He has written an autobiography, Finding My Feet, and is a regular TV and media personality, reaching the finals of Channel 4’s The Jump in 2017. His broad smile and easy personality make him a hugely popular figure.